Retail Pricing- Whose Price is right? Pricing has an immense effect on retail operations. Should it be seen as a mechanism to increase profitability? A competitive moat? Or should it be used as a branding instrument? Yes to all. Pricing affects every aspect of your operations, but most retailers don’t spend enough time thinking about pricing. Back to the title- Whose price is right? In a supplier-driven model (a.k.a. known as cost-based pricing), the party that supplies your store advises you on how much you should be selling the goods. For some brands, they have a natural bargain power over their retailers, so guidelines have to be followed but for the majority of the commerce eco-system, the retailer usually has the final say. This method is high favoured because of the simplicity. Depending on the cost of goods that you get from your supplier, simply mark that up by a simple percentage and you got your retail price. The markup tends to differ across the categories offered. 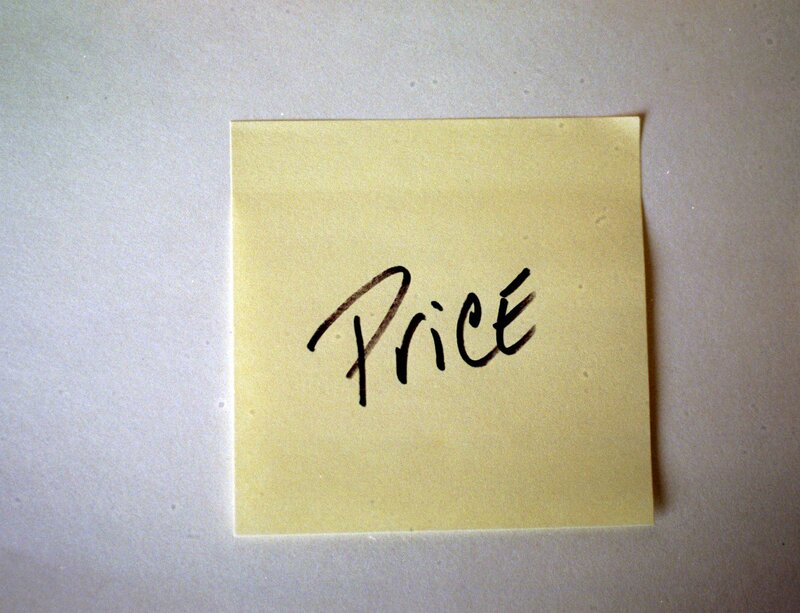 Due to its’ simplicity, it falls short in one significant aspect- pricing should be based on the value created, not cost acquiring the product. In most cases, you might not be capturing all the value. Google your competitors and just set your prices lower. This is much easier to do on web platforms where there are web-scraping algorithms that help log the prices of competitors that might be offering a similar product. Many opt to either match or temporarily go below their competitors’ prices. Just note that your competitors might be doing the same. The effectiveness of this strategy is debatable because it forces the market into eventually matching the price leader who already has the economies of scale to maintain that price point. Although such a strategy may severely hurt profitability, some retailers are left with no choice because they have to ramp up sales of a particular product before they write the inventory off. Setting prices based on what your customers are willing to pay. The past prices of each product logged and used to calculate the price elasticity. In layman’s terms, how much more will shoppers buy if you decrease your prices by 10%? Do they buy 5% or 50% more? With enough data, this is perhaps the most accurate method of setting prices, but it is not without limitations. This method assumes enough sales data to give an accurate prediction model, and it fails to capture the influence of new changes (new product launch + new competition). The formulas above only showed the basic. In reality, the demand function needs to take into account that pricing is a multi-product calculation. The effect of complements and substitutes cannot be underestimated. Lowering the price of one product can adversely affect the sales of another product. Pricing based on competition and supplier markups are common because we don’t want to go through the hassle of thinking about the optimal price for a new product. If you are willing to put the work in, you should try clustering similar products based on features like brand and unit of measure to get a better gauge of pricing. Ideally, if you have enough transactional history, you can apply some level of machine learning to aid in the clustering. Another huge variable that can influence pricing calculations is the marketing dollars spent over a specified time period. If you are using the PED model to calculate pricing but only did a marketing promotion when the prices were higher, the model wouldn’t work because the demand was affected by another variable. Marketing done well over time can actually help retailers build a defensible brand which could reduce price sensitivities towards a particular product. It is very common for retailers to offer the same merchandise at different price points. More commonly observed in brick and mortar retailers, merchandise sold in stores found in more affluent neighbourhoods can be 10-30% more expensive than those in other areas. I know it is easy for bloggers to post a couple of paragraphs but the truth is that pricing strategy is immensely difficult. I’m sure that you have tons of questions on your mind and we want to help. Leave a comment or question and we will get back to you ASAP. If enough people ask us that question, we will dedicate more articles to that topic! Next articleGeneralHow does the average order value affect your retail performance?